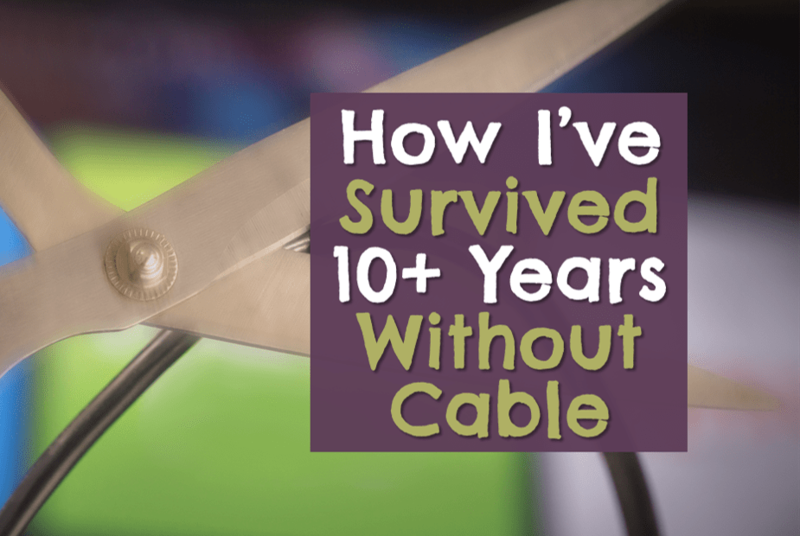 How I've Survived Without Cable for 10+ Years | Good Life. Better. When I started researching the question of how much TV Americans are currently watching, I expected to see a huge decline in recent years as a result of Facebook, Instagram, YouTube, etc. Turns out, these newer ways to occupy our time have only made a small dent in our TV watching habit. An analysis of Neilsen data published in The Atlantic showed that “Americans are still watching more than 7 hours and 50 minutes per household per day.” This is a decline from the 2009-2010 peak of 8 hours and 55 minutes per day but it is still an amazing amount of TV viewing. Where do we find the time? That last question—”where do we find the time”—is a rhetorical question because I have no idea. But I do have some data on how we are accessing TV content. Fewer and fewer people are using cable and satellite services. As noted in this article from Fortune magazine, 79% of households subscribed to cable or satellite TV in 2017, down from 88% in 2010, and the rate of dropping these services is trending upward. Interestingly, according to this survey conducted by Deloitte, a majority of every age group polled said that a top three reason they still have cable is that it is part of a bundle that includes internet. But more about that below. Many people get rid of cable because of its price tag which makes total sense: cable TV is not cheap. When I got rid of cable in March 2007, the plan I was on had just increased to $110 a month which means a conservative estimate of how much I have saved in the years since then is around $15,000 (of course, I did pay for other services discussed below that cancel out some of these savings but not all of them). 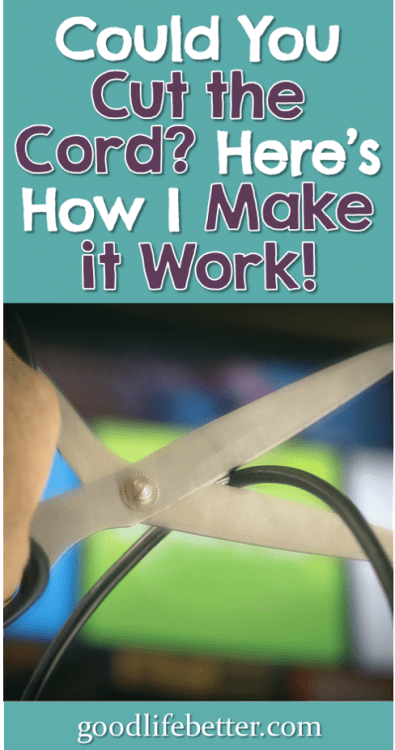 My reason for cutting the cord, however, was not money so much as it was time (although looking back, it probably should have been money too). I watched too much TV. I could start watching HGTV at 10 in the morning and still be watching it at 10 that night. And it wasn’t just House Hunters or whatever show was on back then. You know those marathons of Law & Order or NCIS they would show on TBS? Even if they were airing episodes I had already seen, I found it almost impossible to turn the channel. I knew I had a problem but not how to solve it. And then, two things happened right around the same time that helped me figure out what I needed to do. The first was getting a notice that the cable provider that served my condo building was changing and the price for the plan I was on was increasing from $80 to $110 per month. The second was paying a deposit to the law school to reserve my seat for the fall semester. Faced with the price increase and the realization that zoning out in front of the TV all weekend just wasn’t going to be an option when I was in school, the most logical solution became clear. It was time to break up with cable. Now, just because I don’t have cable, please don’t think I never watch TV because I still watch a lot of TV. I definitely watch less TV than before, however, and when I do watch, I’m better about only watching shows I really want to watch. Here’s how I make it work. Most of the live content I watch is on local channels which are available for free through my home owner’s association (including two awesome PBS stations). Not true for you? Try an antennae. They aren’t very expensive and they pick up a surprising number of channels. When I say “live content,” I almost always mean content I DVRed (so I can skip the commercials). I think DVRs are an awesome invention. I still remember writing out detailed instructions for my mom on how to record a TV show on a VHS tape (the instructions started with “make sure the VCR is turned on”). Compared to that, DVRs are about as hard as blinking. If you love your DVR too, guess what? You don’t have to give it up even if you get rid of cable! While you may have assumed they went the way of Blockbuster, TiVo is still around and still offering great service for a monthly fee of about $15. As an added bonus, they provide an on-screen program guide that automatically matches up with the channels you have access to, including channels available through an antennae. My TiVo box (I’m on my third one which was a one-time purchase of $175 in 2016) also lets me access the streaming services I pay for, currently Netflix ($8/month) and Acorn TV ($5/month) available through Amazon Prime. I assume you are familiar with Netflix but if you haven’t heard of Acorn TV, it lets me access a lot of British and Australian TV shows—one of the reason I love PBS so much. There is also a lot of content available for free through Amazon Prime or that can be purchased for a small sum (I know—Prime is not technically free because there is the annual subscription cost but in my case, that usually pays for itself through free shipping about 7 months into the year). I have at various times had subscriptions to two other streaming services, Hulu and Sling TV. They were fine but I didn’t use them enough to justify the price so I cancelled. If I suddenly get the urge to watch a show only available on one of these services, I can just re-subscribe but it’s been awhile now and I have survived just fine. In the survey I cite above, the majority of customers say a top three reason they still have cable is because it is bundled with their internet. Because cable in my building is available through the HOA, this was never an issue for me but I can see how it would be easy to look at the price for just internet and think you might as well keep cable too. If this is what works for you, that’s great but I do recommend taking a step back and really thinking about if keeping cable is in your best interest, not only when it comes to your money but also your life in general. Watching too much TV was a big problem for me. If it is one for you too, keeping cable may not be a bargain no matter how much you save. It’s also possible that new service providers will come to your area, driving down costs of internet. Google Fiber is supposed to roll out where I live in a year or two. Also, the city in which I lived received a grant that allows it to offer lower-cost services to certain households. I’ve never qualified but if I did, it would make un-bundling worthwhile. Could You Survive without Cable? How much do you pay for cable? 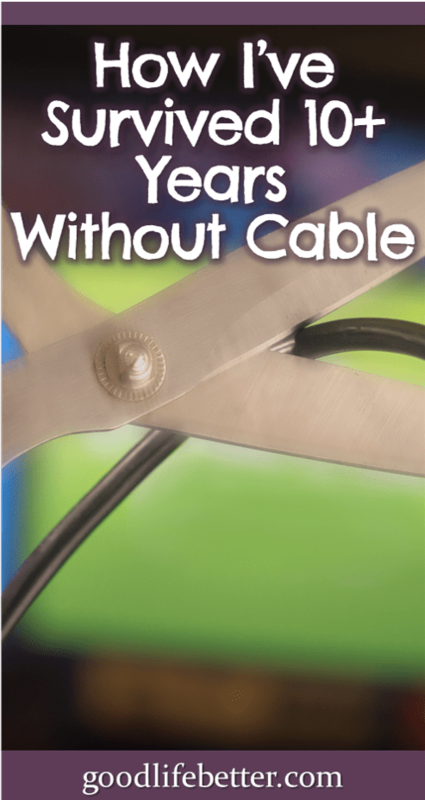 Could you live without cable if you decided it was no longer worth the money or the time costs? If you have already cut the cord, what services—if any—do you use instead? Let me know your thoughts in the comment section below! © 2017-2019 Good Life. Better. I love how well you research statistics for your articles. That is a stunningly high number of hours the average person spends watching TV!! Nice work on cutting the cord to get your time back. Saving 15k is certainly a nice bonus! Thanks–my day job requires I know a lot of random stats so it’s second nature to me now to look stuff up to provide context. I hadn’t done the math before so it came as a surprise to me how much I would have spent. So glad I gave it up. I am richer and healthier because of it. Hello! 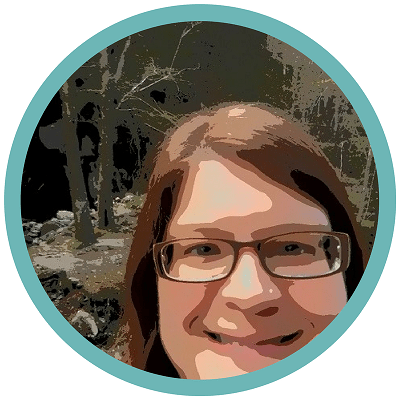 I'm Jenny, a GenX blogger on a mission to help women build wealth, create fabulous careers, and live happier and healthier lives. Want to Make Your Good Life Better? Learn my process for drafting goals you will be able to keep! Success! Now check your email to confirm your subscription (you may have to check in your spam folder). Your Money, Career, and Health. Thriving. Subscribe to my weekly email and join me on my journey to build wealth, create a fabulous career, and live a happier and healthier life. Are You at Risk of Being Scammed? Some of the links I include on this website are affiliate links. This means if you click on the link and purchase the item, I will receive a commission (at no extra cost to you!). While I only recommend products or services I believe will add value to my readers, not every product or service I reference will be appropriate for every reader, and information may become outdated. Copyright © 2017-2019 Good Life. Better. All rights reserved.